The FBI is seeking the public’s assistance in identifying alleged victims of convicted killer Curtis Dean Anderson, who died while serving his prison term on December 9, 2007. 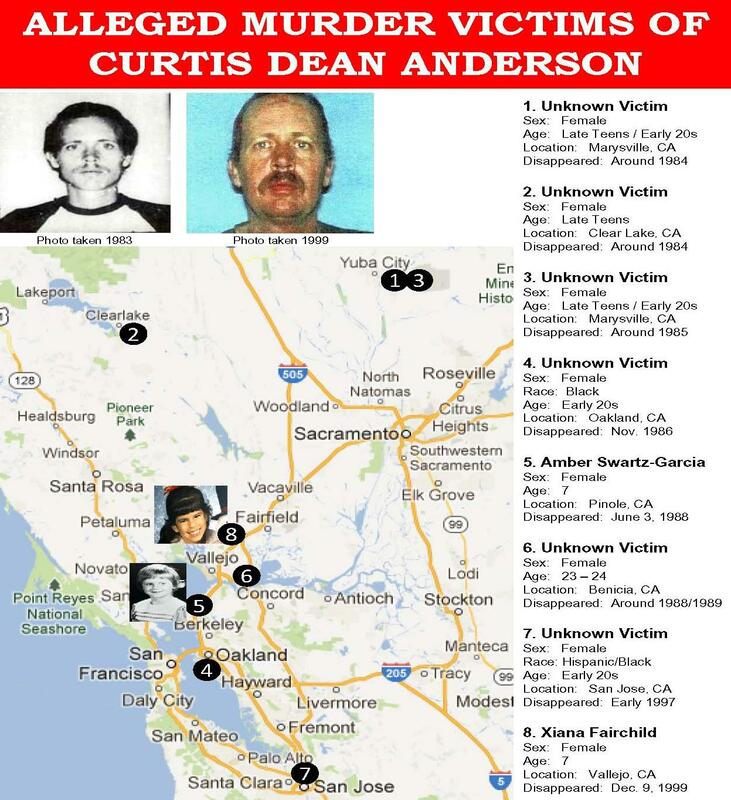 Anderson was convicted and sentenced to over 300 years in prison for the 1999 kidnapping and murder of 7-year-old Xiana Fairchild in Vallejo, California, and other crimes. He was captured after one of his kidnap victims was able to escape. Anderson was interviewed by FBI agents in November of 2007, and confessed to murdering eight victims in the United States, including Fairchild and 7-year-old Amber Swartz-Garcia of Pinole, California. 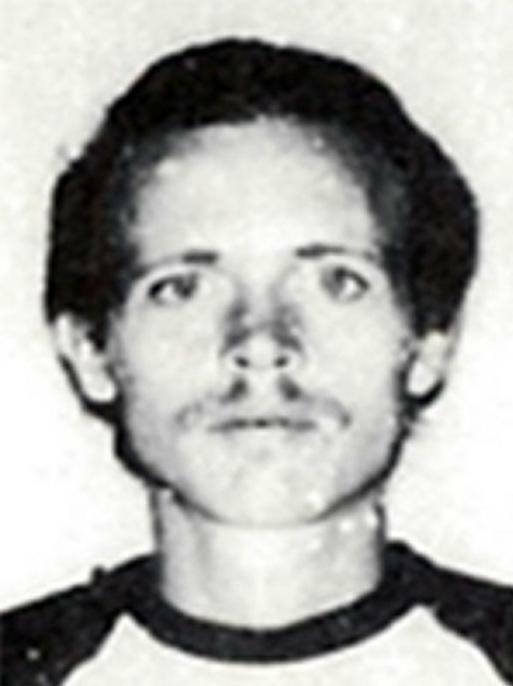 Anderson also confessed to two murders in Mexico, but did not provide any information on those victims. Late 1984: Victim #1 was described as a female "runaway" in her late teens/early 20s. Anderson allegedly met and killed her and then disposed of her body near a local swimming hole in Marysville, California. Victim #2 was a young female hitchhiker in her late teens, whom Anderson claimed he picked up on a road near the northeast side of Clearlake a few days after the death of Victim #1. Early 1985: Victim #3 was a female in her late teens, also residing in the Marysville area, who was possibly a runaway from Oregon. November 1986: Victim #4 was about 21 years old. She was a light-skinned Black female whom Anderson met in a bar frequented by African-Americans located in the East Bay, off Interstate-80 on San Pablo Avenue. He claimed this occurred about 10 days after he was paroled from San Quentin State Prison. Anderson allegedly killed her and disposed of the body in the Oakland hills. June 1988: Victim #5 was Amber Swartz-Garcia, who Anderson said was standing on a street in Pinole, California, when he physically forced her into his car. He eventually murdered her in Arizona. 1988/1989: Victim #6 was allegedly a Navajo Indian woman about 23 to 24 years old. Anderson claimed he picked her up coming out of a bar near 5th or 6th Street in Benicia, California. He said he then killed her near Benson, Arizona. 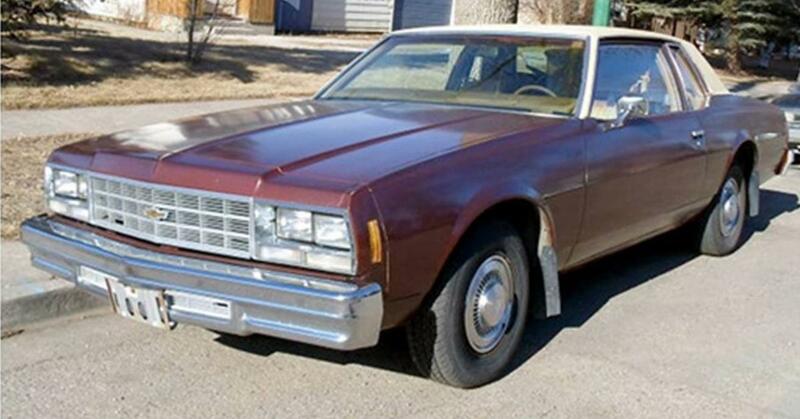 In 1989, Anderson received a ticket while driving a two-door, brown, 1977 Chevy sedan. February or March 1997: Victim #7 was a Black/Hispanic female in her early 20s with noticeable "junkie tracks" on her arms who went by the name “Rosie”. Anderson allegedly met her at “The Bears” bar, which he described as being frequented by Hispanics. This bar was located under Highway 87 in San Jose, California, near a bowling alley. After killing her, he allegedly disposed of her body near the Ben Lomand turnoff near Santa Cruz, California. 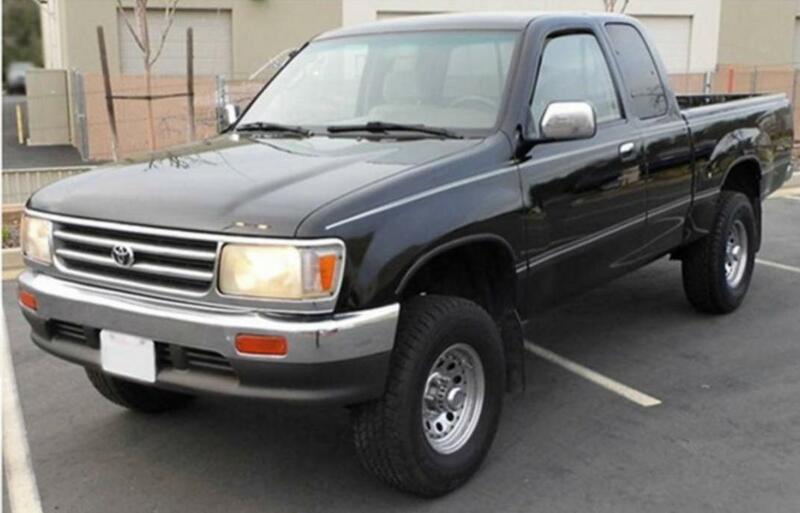 During this incident, Anderson stated he had been driving a black Toyota truck from his “Parts Company”. December 1999: Victim #8 was Xiana Fairchild, who disappeared on December 9, 1999. If you have any information concerning this case or the identity of the alleged victims, please call the FBI Toll-Free tip line at 1-800-CALL-FBI (1-800-225-5324). All calls are confidential and tips can be left anonymously. You may also contact your local FBI office , or the nearest American Embassy or Consulate.